CARFAX 1-Owner, ONLY 53,034 Miles! WAS $35,575, $2,600 below NADA Retail! Rubicon trim. 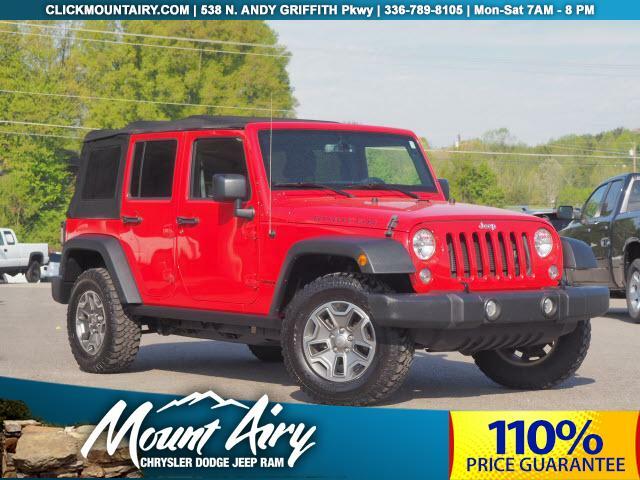 Heated Seats, Nav System, Hitch, REMOTE START SYSTEM, Brake Actuated Limited Slip Differential, 4x4, Aluminum Wheels, MAX TOW PACKAGE. SEE MORE! 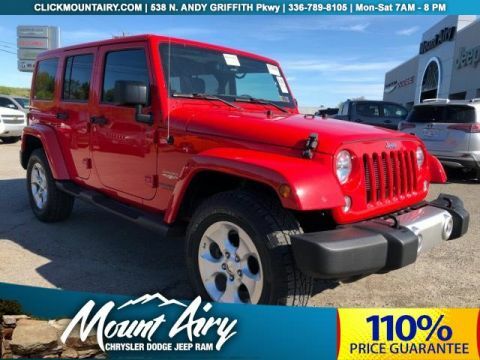 4x4, Aluminum Wheels, Brake Actuated Limited Slip Differential Privacy Glass, Keyless Entry, Steering Wheel Controls, Child Safety Locks, Rollover Protection System. 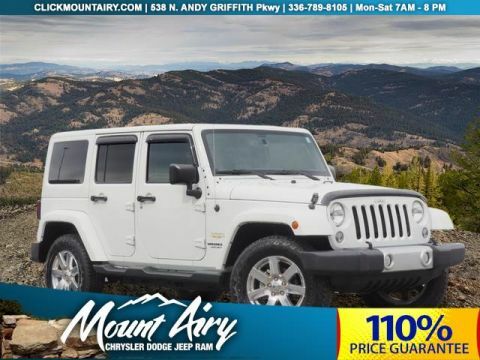 TRANSMISSION: 5-SPEED AUTOMATIC (W5A580) 3.73 Rear Axle Ratio, Hill Descent Control, Tip Start, RADIO: UCONNECT 430N CD/DVD/MP3/HDD/NAV SIRIUSXM Travel Link, 6.5 Touch Screen Display, GPS Navigation, 40GB Hard Drive w/28GB Available, Remote USB Port, ALPINE 9-SPEAKER W/ALL WEATHER SUBWOOFER Amplified 552W 9 speaker, including subwoofer, CONNECTIVITY GROUP Vehicle Information Center, Tire Pressure Monitoring Display, PREMIUM BLACK SUNRIDER SOFT TOP, MAX TOW PACKAGE Class II Receiver Hitch, Trailer Tow w/4-Pin Connector Wiring, REMOTE START SYSTEM, HEATED FRONT SEATS, ENGINE: 3.6L V6 24V VVT (STD). Jeep Rubicon with Firecracker Red Clear Coat exterior and Black interior features a V6 Cylinder Engine with 285 HP at 6400 RPM*. Was $35,575. 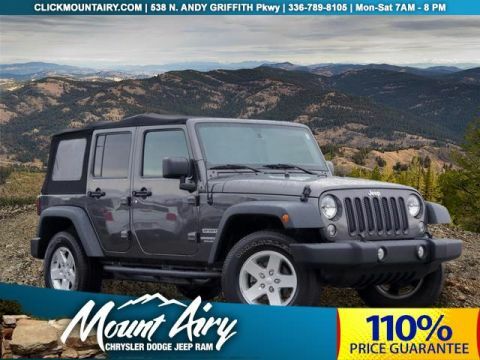 This Wrangler Unlimited is priced $2,600 below NADA Retail.